I made Patrick a Maga Man Wall Quilt. Awesome! I want to learn how to do this eventually. This is totally cool! I started off wanting to make a tetris quilt (hasn't been started yet), and I'm currently doing space invaders. This is awesome. 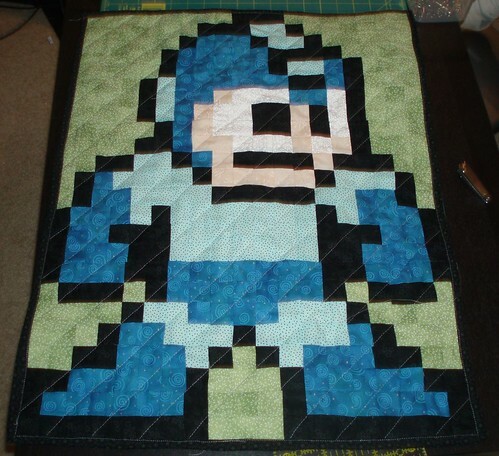 I think I will get more ambitious too and make some other quilted pixel art.